A new Filipino spot, offering poke and breakfast eats, has made its debut in the neighborhood. Located at 43 Clinton St. (between Stanton St. & Rivington St.) in the Lower East Side, the newcomer is called Kahuna Wave. While this new cafe specializes in customizable poke bowls, the menu also features a variety of coffee and tea drinks, breakfast sandwiches and omelets and Filipino-inspired breakfast bowls. Like most spots offering poke, the menu is centered around build-your-own concept. Customers start with a base like rice or greens, and then top it off with proteins that include tuna, salmon or teriyaki chicken. To round the meal out, there's a wide selection of additional toppings like kale, green onion or mango. Switching over to breakfast items, look for bacon, egg and cheese burritos; an omelet with spinach, goat cheese and olives; and longanisa (Filipino sausage) with scrambled eggs and garlic rice. With just one review on Yelp thus far, Kahuna Wave currently has a five-star rating. 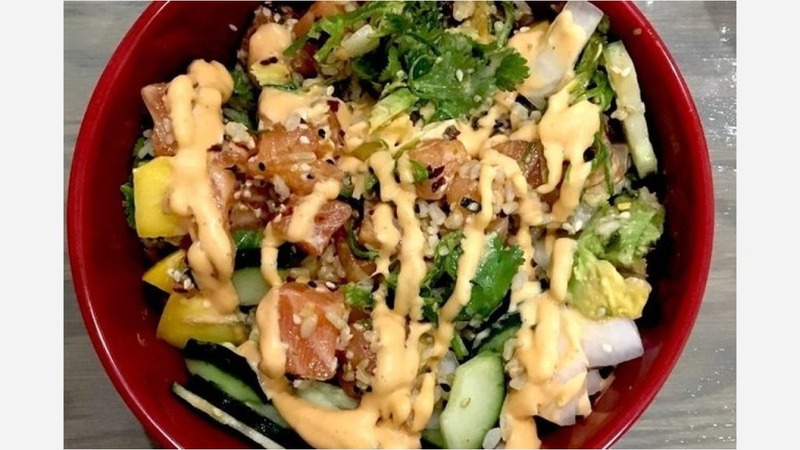 Ben T., who was the first Yelper to review the new spot on February 22nd, said: "Very new and quality spot for poke in the LES. I've visited twice and brown rice with tuna and salmon has satisfied my lunch cravings both times. The owner, Colin, is a really chill guy, too." Intrigued? Stop in to try it for yourself. Kahuna Wave is open weekdays from 7am-4pm, and weekends from 8am-4pm.